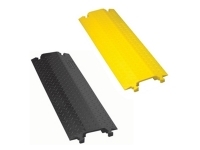 Durable Polyurethane - Yellow or Black, Ideal For light Foot Traffic. 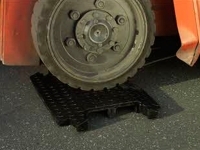 So you need cord covers that will hold up under a little pressure but you're not looking for bulky heavy duty options. 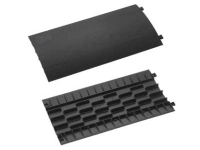 Cable Ties and More has definitely got you (and your cables) covered with our wide selection of drop over cable covers. 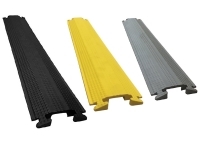 Available in a variety of materials including rubber and polyurethane as well as interlocking, compact and flexible options Cable Ties and More has an option perfectly suited for your light industrial, commercial or office environment. 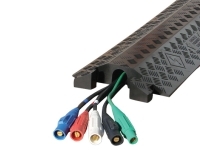 CableTiesAndMore offers an extensive line of drop over cable protectors and cord protectors. 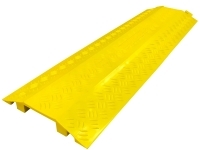 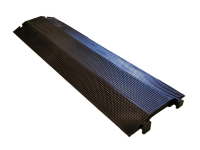 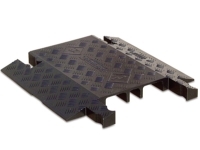 Our cable guards are manufactured with different high quality materials. 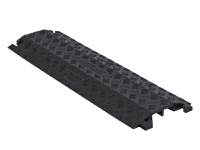 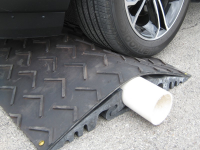 Choose from rubber or polyurethane that best suits your envrionment. 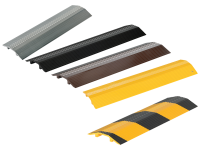 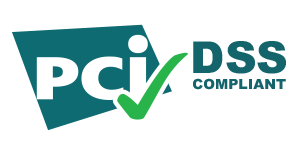 Select the ideal protector based on your cable or wire bundle diameters. 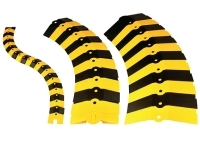 These cable protectors are ideal in light duty commercial, industrial and office applications.